There’s a reason that the phrase pearl-clutcher is used to describe someone who is easily shocked or outraged. Pearls have developed a bit of reputation as an older woman’s jewellery of choice, with a strand of pearls seen as being classic, but at the same time somewhat staid and serious. Add to the fact that pearls are one of the most delicate precious materials out there — you have to be careful not to destroy its nacre which can be easily stained and scratched — and you have something which you might only take out on very special occasions. A string of pearls pictured on local jeweller, Carrie K’s Instagram (@carriek_rocks). The brand recently launched its pearl bar which invites you to pick a strand of pearls (you can choose from freshwater, Akoya or South Sea pearls) and the length you want, and add elements like metal chains, interchangeable clasps, lockets and accessories to create a truly bespoke piece. The options are endless from asymmetrical necklaces to double strands that can go with everything from your gowns to your jeans. Ariel Gordon’s Diamond Baroque Pearl Drop Necklace, US$595. A baroque pearl drop pendant pictured on Ariel Gordon Jewellery’s Instagram (@arielgordonjewelry). 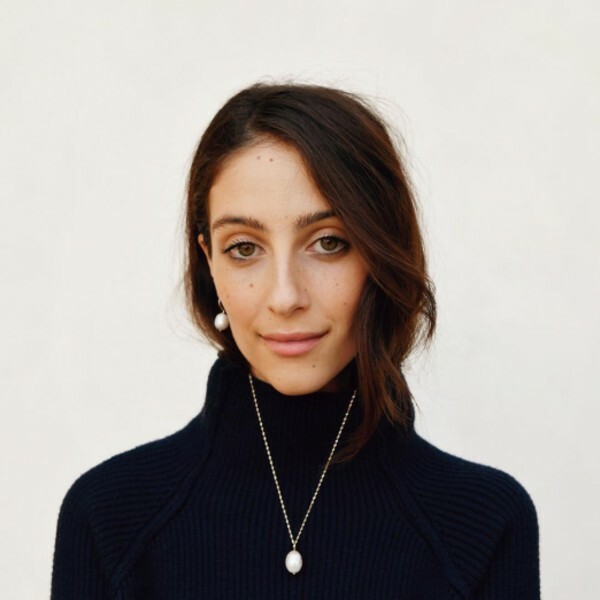 Los Angeles jewellery brand Ariel Gordon does delicate, everyday jewellery you’ll want to keep reaching for and this necklace is no exception. Loved for their imperfections and organic shapes, the baroque pearl is studded with white diamonds (you can also have it plain or with coloured stones) and worn on a longer, 22-inch chain for a cool, relaxed effect that can easily dress up basic t-shirts and sweaters. State Property Allegory Minor Bracelet, S$2,900, from Tangs and the State Property showroom. The Allegory Minor pearl bracelet pictured on the local jewellers, State Property’s Instagram (@thisisstateproperty). This up-and-coming local brand, created by designers Ruiyin Lin and Afzal Imram has been making waves overseas, where it has been seen on everyone from Michelle Obama to Lady Gaga. The Allegory Minor Bracelet is the perfect combination of gold hardwear (seen here in 18K rose gold) and Akoya pearls that “dance” playfully on your wrist, striking the right mix of simplicity and design. Mizuki Yellow Gold and Pearl Cuff, US$1,890. A pearl cuff pictured on Mizuki Nagazawa’s Instagram (@mizukijewels). New-York based, Japanese-born designer Mizuki Nagazawa makes gorgeous pearl jewellery that straddles the line between delicate and edgy. 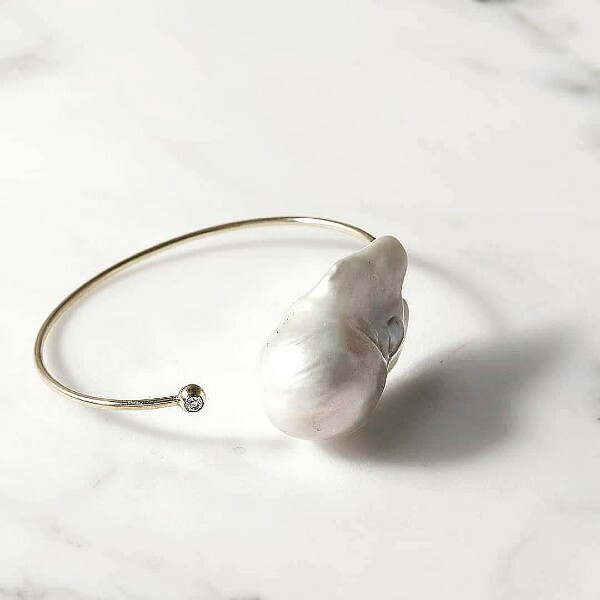 If you love the beautiful, organic shape of non-round pearls then this cuff bracelet which features a naturally white freshwater pearl on one end, and a bezel-set diamond on the other will be a cool, statement piece to add to your collection. Sophie Bille Brahe Botticelli Grande Earring, €1,940.00. The Botticelli Grande earring pictured on Sophie Bille Brahe’s Instagram (@sophiebillebraheltd). 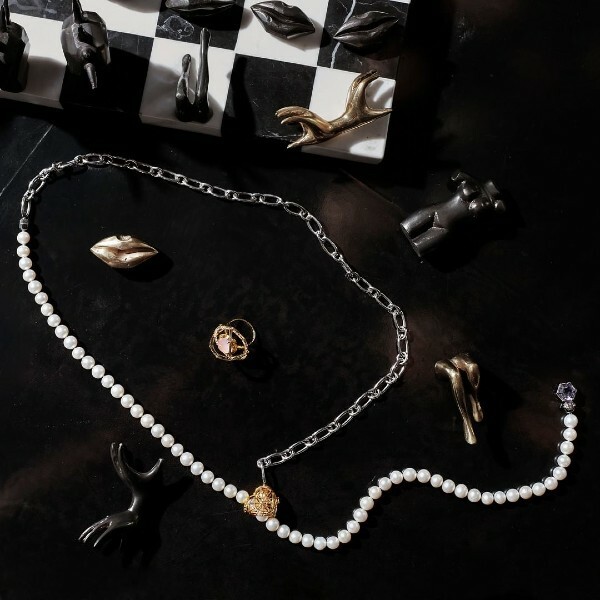 Danish jewellery designer Sophie Bille Brahe may make jewellery using centuries old goldsmithing techniques, but her pieces are unerringly modern. Like a beautiful, opulent cluster of grapes, the Botticelli Grande Earrings (sold as a single piece) are the perfect chandelier style for those who don’t like diamonds and bling. The shoulder-grazing Privé pearl duster earring from Mizuki Nagazawa (@mizukijewels). Forget classic pearl studs and go for something like these dramatic pearl duster earrings with rose cut diamonds for an elegant yet eye-popping entrance. Bound to be a conversation piece, you can whip these out for both special occasions and even on a work day with a dress shirt and pulled-back hair.